New Year's Promo! 30% off set up fee for new SMSFs or first month free for SMSF transfers | Learn more. Managing your own super fund should be easy, engaging and accessible – anytime, anywhere. 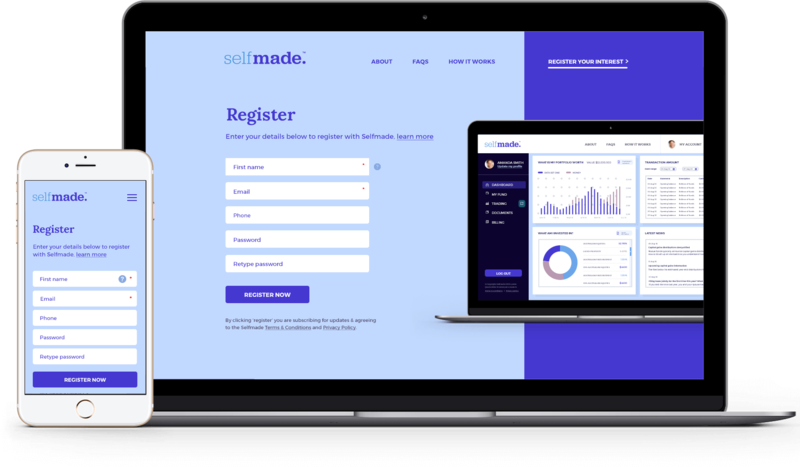 Selfmade is not like traditional SMSFs – you can set up or transfer your own SMSF online in minutes and take control of your financial future. 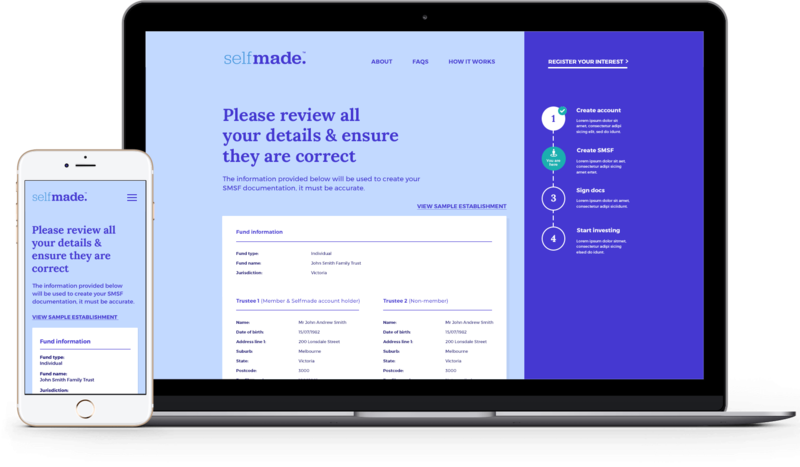 Selfmade has streamlined the time-consuming process of setting up a SMSF into a few easy steps. Say goodbye to paper forms and set up a SMSF online in minutes. With the right tools and assistance, managing your new or existing SMSF is easy and hassle free. 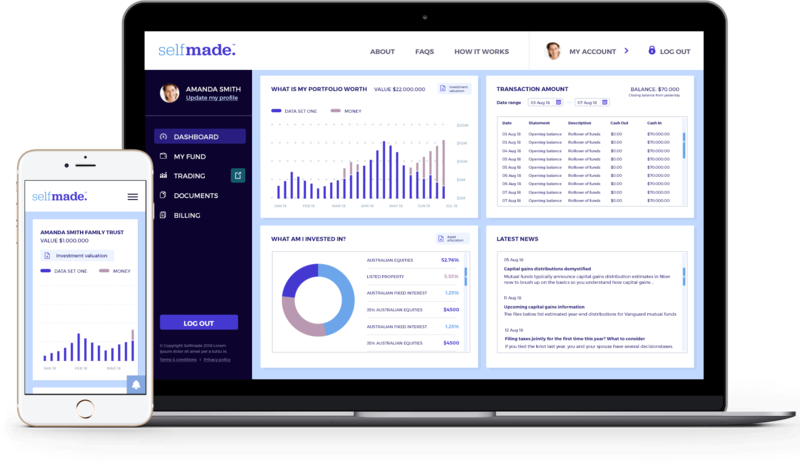 Selfmade’s market leading technology takes the complexity out of administration, giving you more time to focus on your investments. Our simple and secure platform is directly integrated with a leading Australian bank, so you can start investing right away. Accountants can charge hefty fees, which often don't stack up with the level of service you get in exchange. 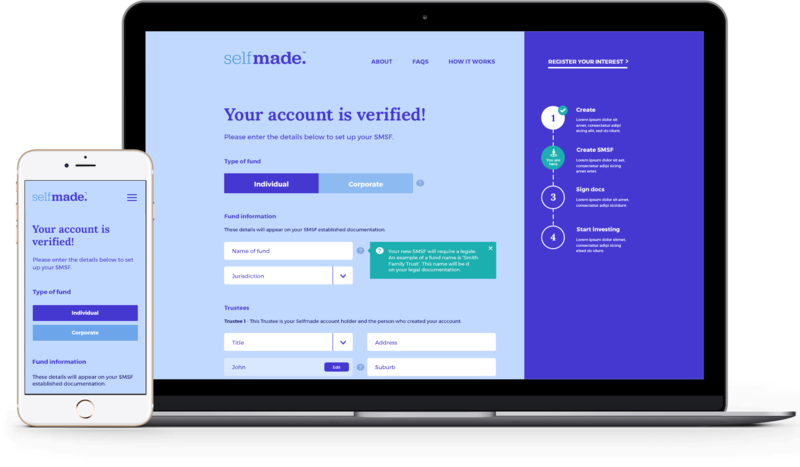 Selfmade’s advanced platform is easy to use and only $75* per month. Industry funds often come with preset investment options, meaning the number of choices you have are limited. *Excluding GST, upfront establishment cost to set up a new SMSF and any Government fees and charges. Take control and start investing your super, your way! The information contained on this website is of a general nature only and has not been provided in any way to account for any particular investor's specific objectives, financial situation or needs. 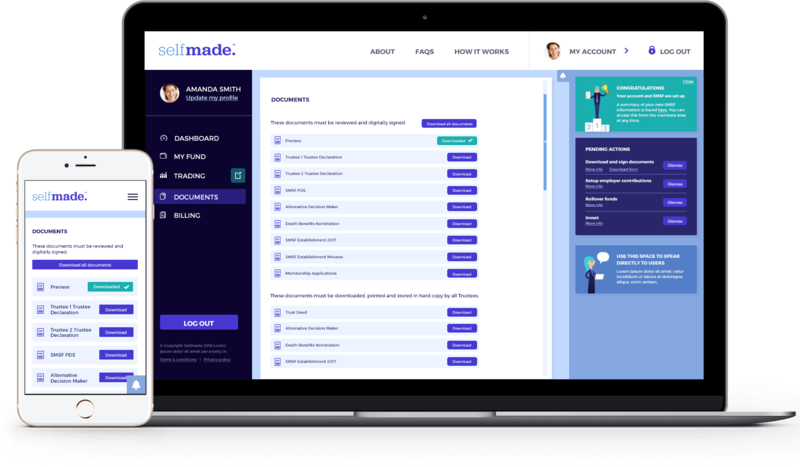 Selfmade Super Financial Services Pty Ltd (“Selfmade”) does not provide financial product advice or recommend any financial products. This specifically applies to any financial products which are established if you were to set up an account with Selfmade. Selfmade Super Financial Services Pty Ltd ABN 12 619 195 005 (“Selfmade”) is an authorised representative of Alpha Securities Pty Ltd, Australian Financial Services Licence Number 330757.